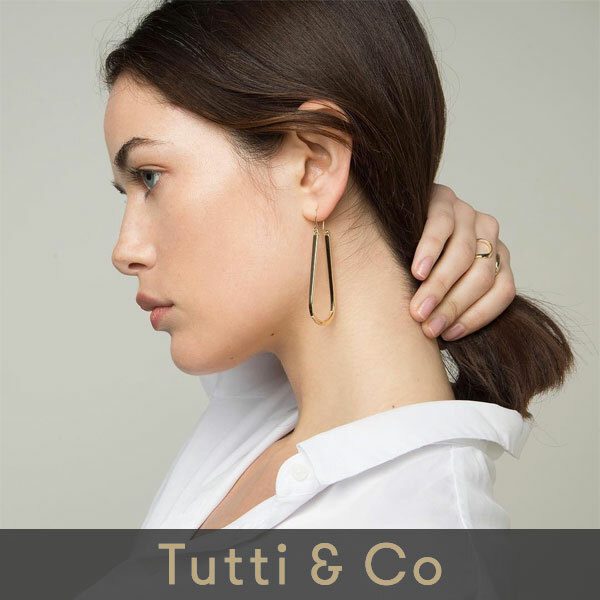 Home > Tutti & Co Jewellery > Save 20% on All Tutti & Co Jewellery and Accessories + Free UK Delivery! Save 20% on All Tutti & Co Jewellery and Accessories + Free UK Delivery! Shop the NEW Tutti & Co Jewellery & Accessories collection at Lizzielane this weekend and save 20% on all Tutti & Co when you use discount code TU20 at checkout, PLUS we’ll even ship your order for Free when you select UK Standard Delivery! As a designer and stylist, Kate Rose, the Founder and Creative Director of Tutti & Co, has a passion to surround herself with beautiful, often simple, carefully chosen objects. Each of the products she and her team design starts as a simple idea and a sketch and is then lovingly designed and hand finished. “Tutti”, or “all” in Italian was born out of her belief that life should be beuatiful for all. Based at their studio on the top of a cliff side, by the sea in the North of England, she and her designs are profoundly influenced by their surroundings and the local community and beautiful environment. To claim your 20% discount on ALL Tutti & Co, make sure you enter TU20 where prompted on either the shopping cart or checkout page – and don’t forget, the discount code expires midnight on Monday…. Discount cannot be used in conjunction with any other store-wide discounts or offers, but may be used with other brand discounts. Code valid from 7pm Friday 12th Oct 2018 until midnight Monday 15th October 2018. E & OE.